New-car registrations in the German car market, Europe's largest, continued to shrink in October, falling 20 percent after slipping almost 18 percent in September, according to the German motor transport authority (KBA). Automakers sold 256,775 cars in Germany last month. Through 10 months, sales in Germany are down 26.8 percent to 2,423,627 units. For the full year, car registrations are expected to fall between 20 percent and 25 percent. In 2009 about 3.8 million new cars were registered in Germany. The German auto industry estimates that about 2.9 million cars will be registered in the country in 2010. A fall in demand compared with the year-earlier month was exacerbated by the ending of last year's government-sponsored scrapping scheme, which had boosted car sales in Germany for much of 2009. Germany's 5 billion euro ($6.85 billion) pot of tax money to subsidize new-car purchases was exhausted at the beginning of September 2009, ushering in months of extremely weak demand as thousands of purchases planned for this year were pulled forward to take advantage of the scheme. 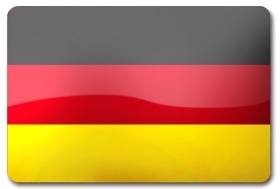 In September German new-car registrations fell 17.8 percent to 259,748 vehicles.